The feeling of romance sweeps through this track like a, like a bank of clouds making their gradual way across a sun-filled deep blue sky, present and washing over you in swathes of delicious textures and soulful nuances. Clonking chimes summon this glorious naive love, a certain innocence in their gleaming golden chords, each resounding with canyons of space between, the moments drawn out lusciously like the longing between liaisons with a lover, not lust exactly but lovesickness, a deep crush, the beat slow and swaying, the atmosphere sultry yet fresh. Greg Wanders, who is behind the vocals on this collaborative track, was inspired by that feeling. "I listened to it a couple times and the general vibe was something I could imagine listening to with that special someone," he tells us, "so I decided to direct my energy towards that field." He croons accordingly with a feeling of gentle detachment, floating above the world, heart fluttering, suiting the almost sleepy vibe in the instrumental. 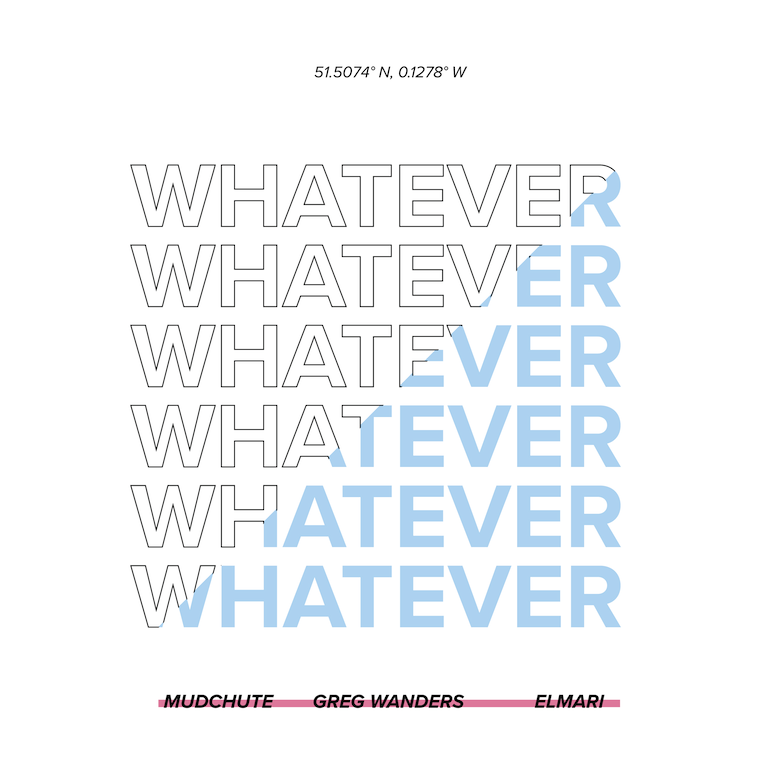 'Whatever' also features fellow Londoner, producer ElMari, as well as Liverpool-based musicmaker Mudchute, and was the product, as ElMari wrote to us in an email, of a meeting between the three artists in London in the summer: "We got in the studio one day in September and we vibed and then we made this." The rhythm, the space, and the textures of this track combine beautifully together, the space hanging between sounds bristling with energy and strewn with muttering vocal samples and fizzy sounds. Lounge-flavoured synth chords paint a sense of utter chillment, the slow nodding motion of them bouncing along with the warm bass bloops, the percussion keeping time with a crunch of snare and gloopy kicks. And let us not forget that guitar, adding an instant heat to the track with its muffled but scorching virtuosity. Part lullaby, part slow jam, 'Whatever' is a dreamy, brightly glistening send-off into the arms of a fellow human being who wants to spend a large portion of their time with you.